It’s great to have all tools in one place, right? 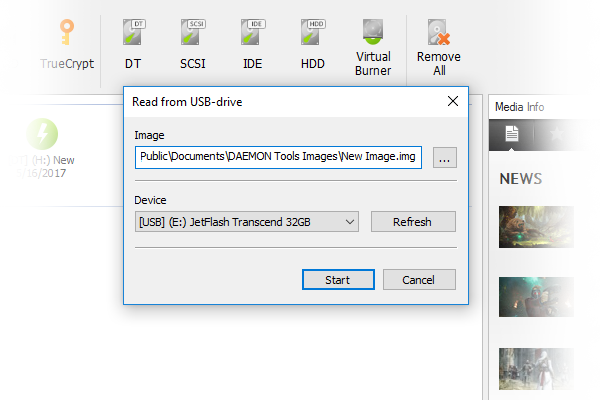 If DAEMON Tools Pro looks friendly to you and you started using Raspberry Pi recently (which means you need software to Install Raspberry Pi OS on SD Card), our team has exciting news for you! Starting from DAEMON Tools Pro 8.2, there's a handy utility for the ones who use Raspberry Pi and other IoT devices. Now you can easily install Raspberry Pi image on SD Card and backup Raspberry Pi SD Card any time you need. Basically, it’s a small computer that’s not bigger than your palm. Raspberry Pi is a caseless device with HDMI and analog composite video output, that costs $35-40 and serves for creating and working on small projects (media centres, VPNs, video game systems, etc.). The biggest Raspberry Pi advantage is the size, obviously, and that you don’t need to install OS as you do on PC. You need to download the ready-to-go image, install Raspberry Pi to your SD Card and plug into Raspberry Pi. The other thing is the numerous operating systems that can be installed on Raspberry Pi: Chromium OS, Gentoo, OSMC, Raspbian, Windows 10 and many more. 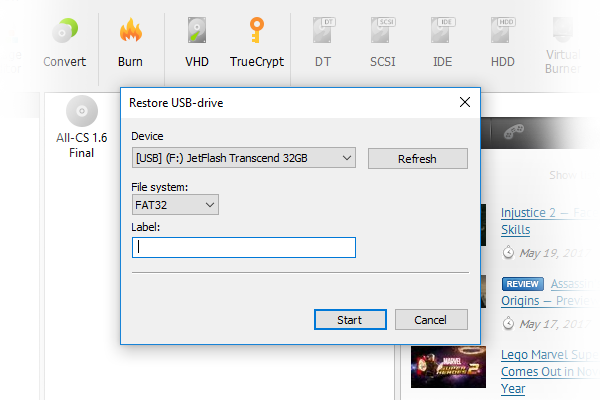 DAEMON Tools Pro will follow you through every step you do, starting with installing Raspberry Pi operating system and creating the backup for Raspberry Pi SD Card. DT Pro also can make your SD Card usable on windows again, once you’ve done with Raspberry Pi. To bring your storage device back to life you’ll need to format Raspberry Pi SD Card. Plug-in the SD Card. Note, that Raspberry Pi SD Card must be 8 Gb or more. 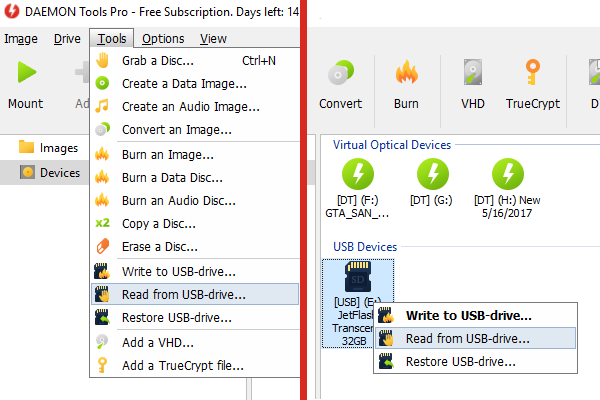 Go to Tools — Write to USB-drive, or open Devices, find the needed SD Card, right-click it and pick the same option. The following window opens. Choose the image that contains the Raspberry Pi operating system, choose the device, press Refresh if the needed one is not on the list. Press Start. Once the process is finished, your Raspberry Pi SD Card is ready to use. How to do the Raspberry Pi Backup? Insert your Raspberry Pi storage device. 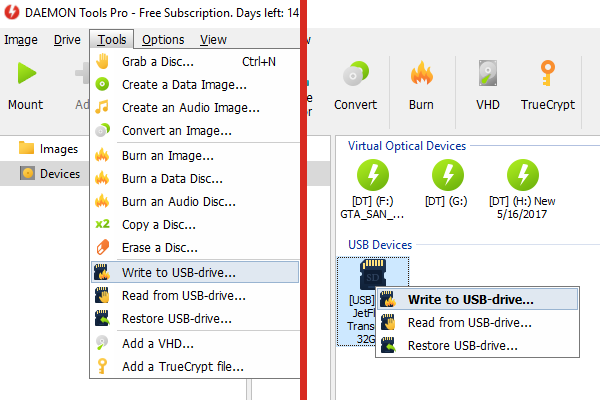 Go to Tools — Read from USB-drive, or open Devices, find the needed SD Card, right-click it and pick the same option. The following window opens. 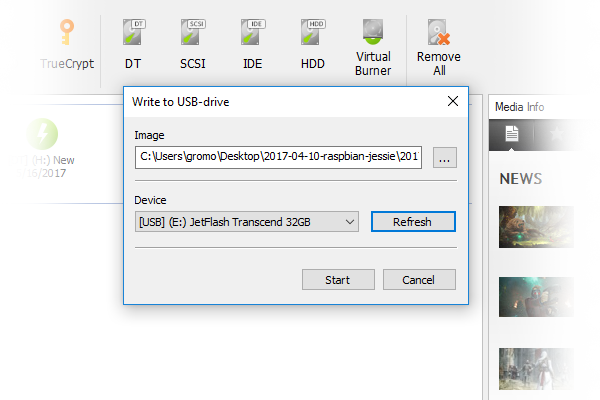 Set the name and path for Raspberry Pi Backup file, choose the device, press Refresh if the needed one is not on the list. Press Start. Done! Your data is safe and available for further usage. How to format Raspberry Pi SD Card for the further regular usage? 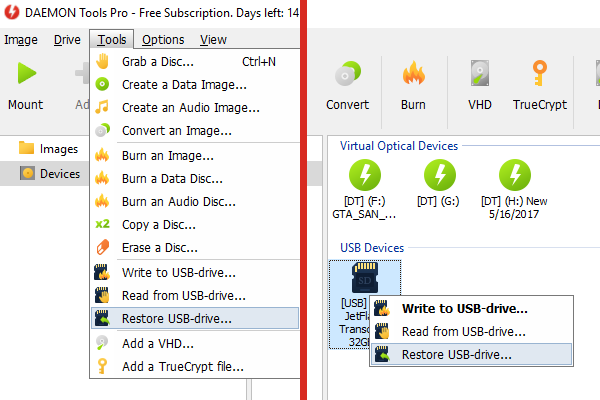 Go to Tools — Restore USB-drive, or open Devices, find the needed SD Card, right-click it and pick the same option. The following window opens. Choose the device, press Refresh if the needed one is not on the list. Choose the file system, set the device label. Press Start. That’s it, your storage device is ready for usage! Hope you’ll have a time of your life using Raspberry Pi! DAEMON Tools Pro update is out, you can download it from the official website. Or, if you have DT Pro already installed — a notification will pop up and let you know, how you can update your DAEMON Tools Pro.